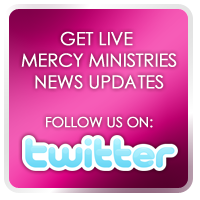 Mercy Ministries News: A Night to Remember! Celebrating 26+ Years! "It was so wonderful to be with people that I knew from years ago who gave sacrificially and who continue to give to this day to make this ministry the successful program that it is. I was so honored to reconnect with old friends that I have not seen in years, and to personally thank those who believed in Mercy Ministries when it was just a vision. I will never forget how I first moved to Monroe in 1983 and began to speak out what God had put into my heart. It takes very special people to become a part of something they yet cannot see. I call those people visionaries and people of faith. It was my great joy to be able to celebrate our beginnings and thank those who have been such a vital part of making it all possible." The Cordell’s made this a family affair as not only Hardeman and Susan, but also their son Hardeman Jr. and his wife, Misty, and their other son, Sherrause, were all so gracious in hosting this event as a family. See their family picture below. We would like to thank all of the many volunteers and supporters who worked tirelessly for weeks and weeks in advance to make this wonderful evening so successful. Most of all, we wish to thank our God for His faithfulness in the thousands of transformed lives over the years and the millions of dollars that have been given to make it all possible. Check out this slide show of this historical event.